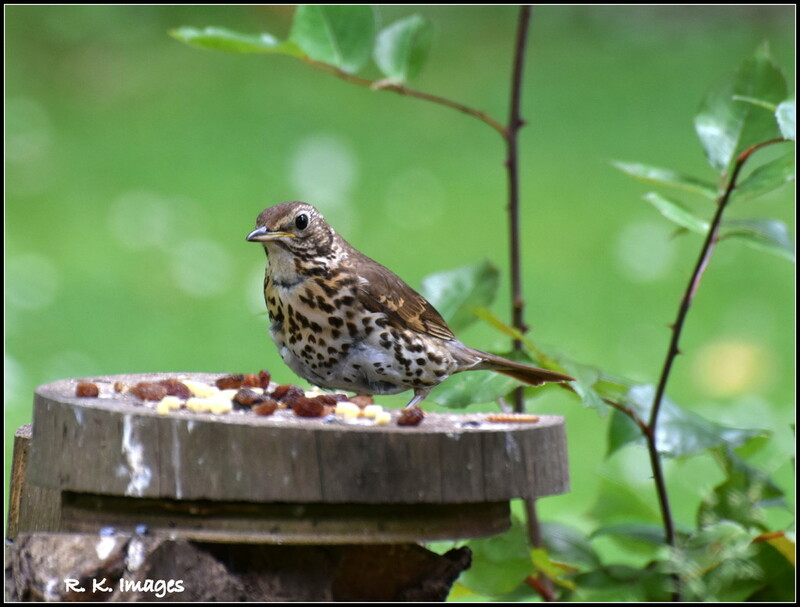 Mrs Thrush didn't appear at breakfast time but I saw her hanging about when I was cleaning Bas's cage out so I thought she must want some brunch. I went out and put a combination of meal worms, suet pellets and sultanas on the log that stands in the rockery. Down she came after a bit of hesitation so I just had to get my camera out and take some shots of her. She rewarded me with several photos. Thank you for all your kind comments and Favs - I will be back after going to the hairdressers. She is posing to say thanks for the meal! They have a lot to answer for due to their name, I'm talking medically (Wink). Super clear capture. FAV. We do love them - super shot - fav. Got her spots nicely - hope she sings for you! Your bird photos are wonderful. Fav.